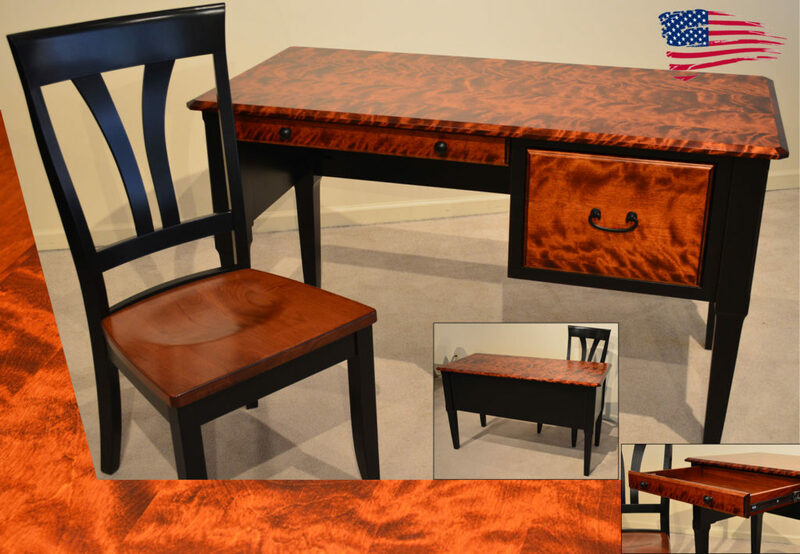 Amish Flame Birch Desk features Flame Birch top and drawer fronts and black rub through finish on the maple frame. Desk comes with 1 pencil drawer and one file drawer. Can be ordered in any wood specie and color with your sizes. Made in USA!